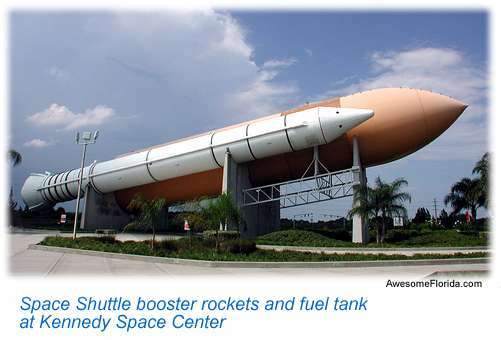 Kennedy Space Center is America's space port. Hundreds of astronauts have made their way into orbit or to the moon from launch pads at this expansive complex. Fortunately, we earthbound mortals can get a glimpse of this exciting frontier by visiting NASA's facility. The attraction is open year round and offers many presentations, displays and tours of our various program's past, present and future. See one of America's shuttles up close. 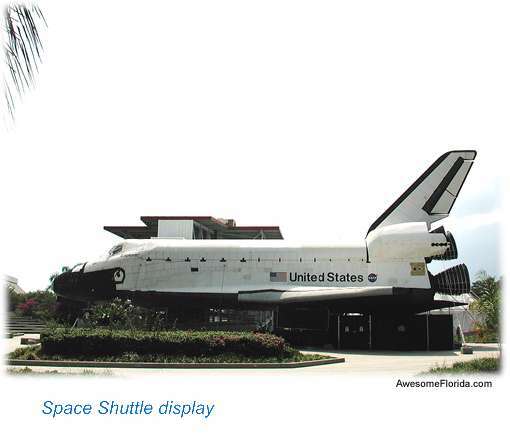 Now retired, Space Shuttle Atlantis is on display with doors open and a full 360-degree view. 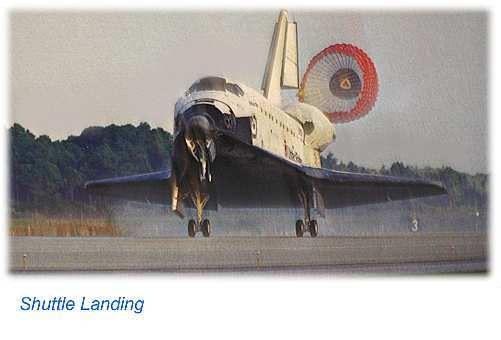 Altantis flew 33 missions and spent 306 days in orbit. One can spend anywhere from a half to a full day at the attraction depending upon interest. 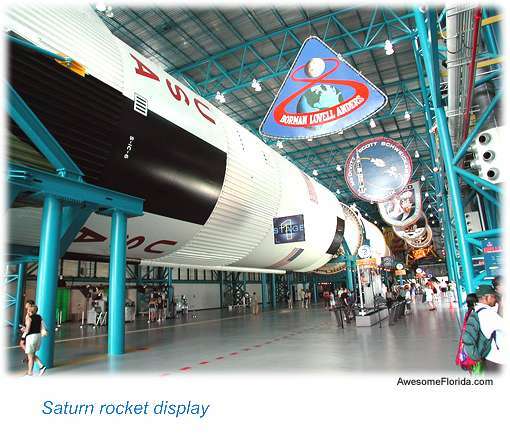 Start at the visitor complex and tour the various displays including a full size, 363 foot, Apollo/Saturn V rocket. 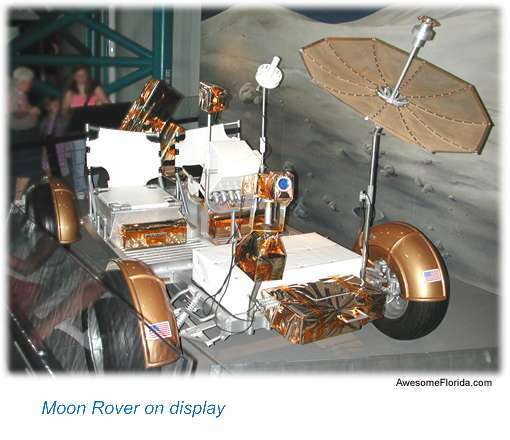 See Apollo's moon rover, capsules and various displays and artifacts covering the Mercury, Gemini, Apollo and Shuttle programs. 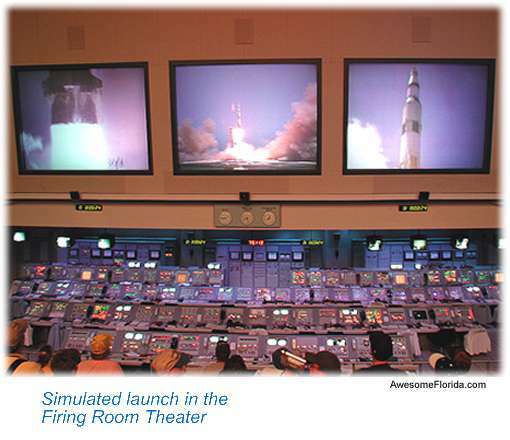 Experience the thrill of a simulated rocket launch in the Firing Room Theater complete with dramatic visual and sound effects of a launch. 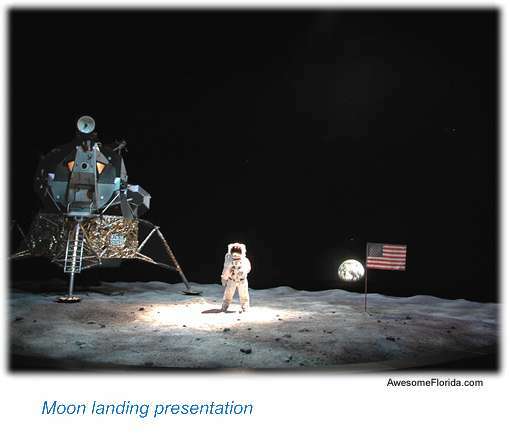 Watch a recreation of America's first moon landing on stage in the Lunar Sur Theater. Meet an Astronaut at the Astronaut Encounter. Experience the drama and excitement in the facility's two large IMAX theaters. Thrilling presentation of actual footage as photographed outside of Earth within the five story tall IMAX theater is as close as most of us will get to the experience of out of this world travel! Take a tour to the International Space Station Center (when available). Walk through full-scale mockups of station modules. 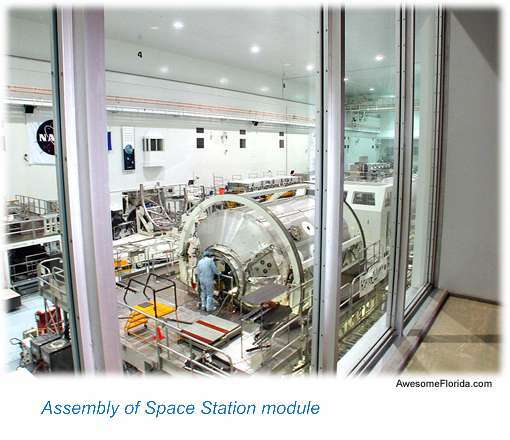 View actual assembly of station modules. Take an guided bus tour (when available) of the complex. See the massive Shuttle assembly building, the Shuttle crawler, and visit LC 39 Observation Gantry where one can see the two Shuttle launch pads. 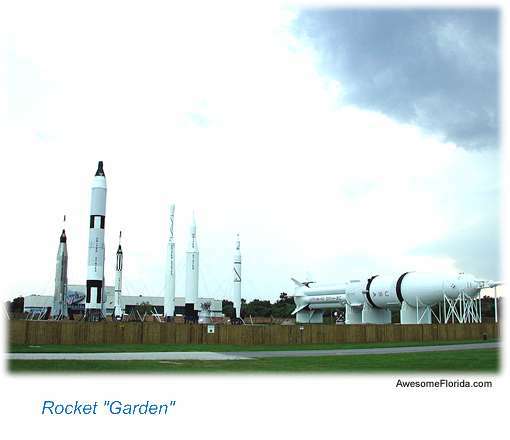 Take a stroll through the "Rocket Garden". This three acre site has a number of rockets on display ranging from the early Mercury Redstone to the Gemini and Saturn rockets. Several restaurants are on site offering a variety of food fare. Also on site is a large gift shop with a wide variety of related gifts and memorabilia for kids and adults. 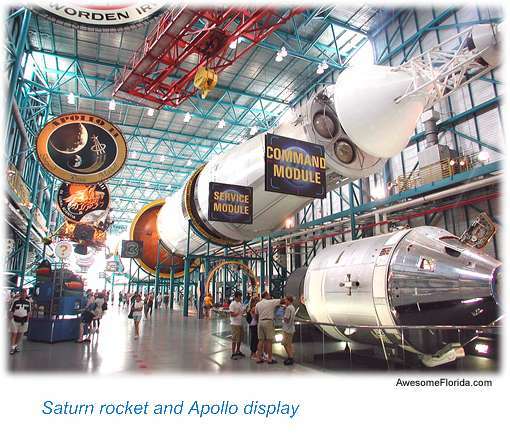 For kids and grownups who have even the remotest interest in America's space programs and facilities, the attraction is just the place to visit!